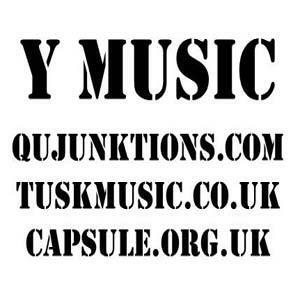 Y Music is a consortium between a number of UK based experimental music promoters/agencies, made up of Qu Junktions (Bristol), Tusk (Newcastle) and yours truly, Capsule (Birmingham). The lovely Chris of Brumcast has skillfully put together a brilliant podcast featuring some of the artists Y Music are currently working with, either together or separately. Featuring Meg Baird, Aki Onda, Sleepy Sun and many more eclectic artists we passionately showcase. Chris has also released the first of three Supersonic Festival podcasts, giving you a taster of some of the artists playing at the 2012 edition of the event, which just so happens to be its 10th year – how exciting.